I love shrimp. I think that is an open secret. 🙂 And to think that I started eating it pretty late in life, after my marriage to be precise. Yes, I was vegetarian for a number of years. 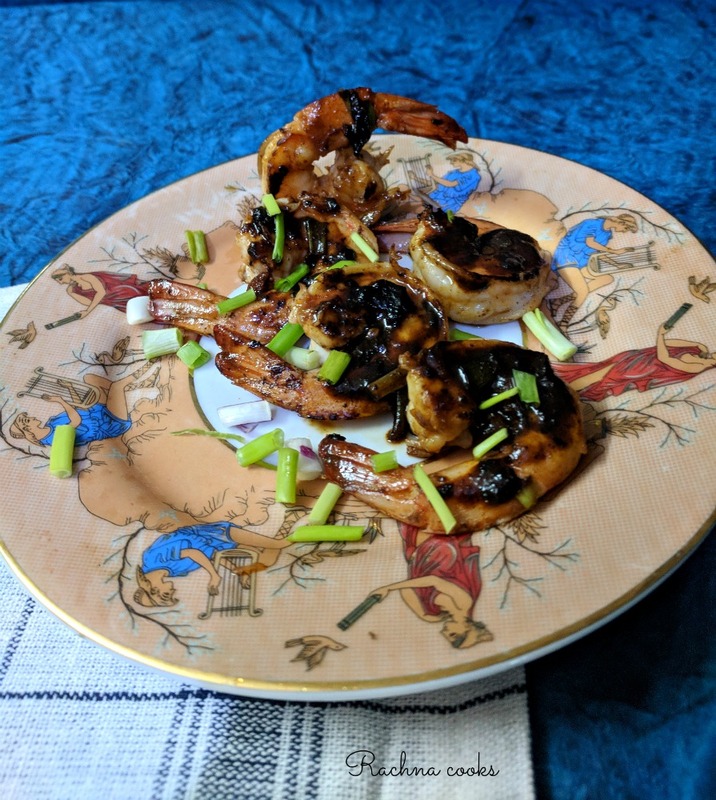 So anyway, I started to cook with shrimp when I lived in the US. Now I love to have it as often as possible. It is delightful seafood if you cook it well and it really is quick to make even with the deveining. Sriracha sauce is my favourite hot sauce and I use it quite a bit in my cooking. 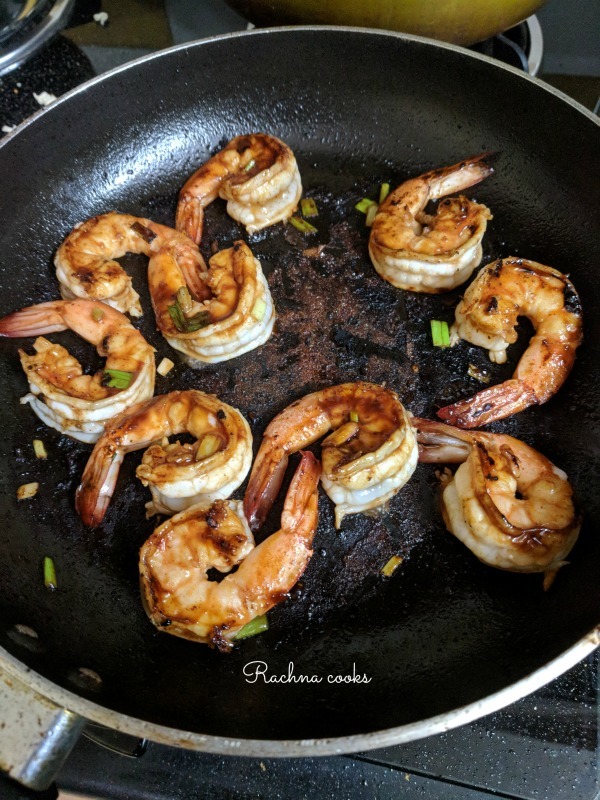 So I made this super quick super easy Sriracha Honey Lime Shrimp last weekend. Absolutely delicious, we all loved them. Best part is you can make it even at short notice if you have the ingredients on hand. You can have this dish in 20 minutes from start to finish. Prepare the shrimp by cleaning, peeling and deveining them. I leave the tails on. In a bowl mix together all the ingredients of the marinade to form a thick sauce. Now pour this over the shrimp and keep aside for 10 minutes. 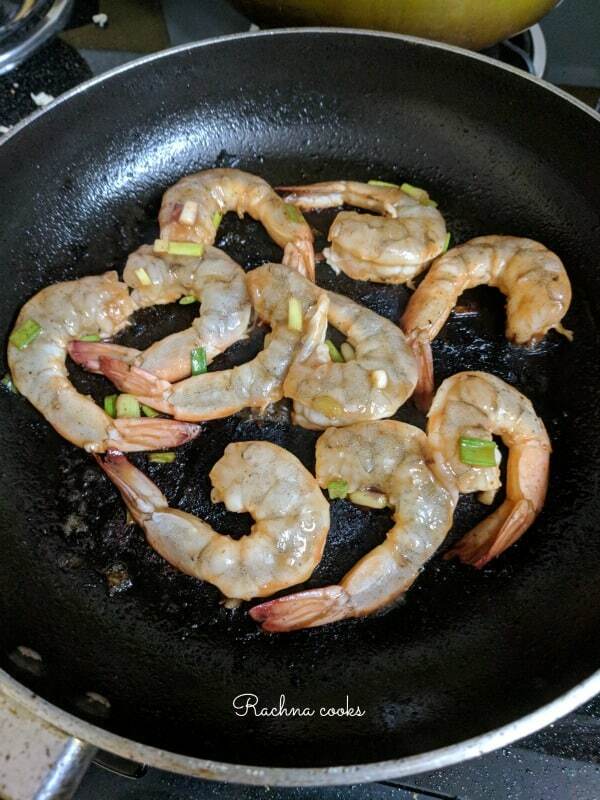 Now heat some oil in a deep pan and cook the prawns on each side for about 2-3 minutes till they are cooked. Let them get a bit smoky. After taking the prawns out, take the rest of the sauce in the pan and cook it a bit. 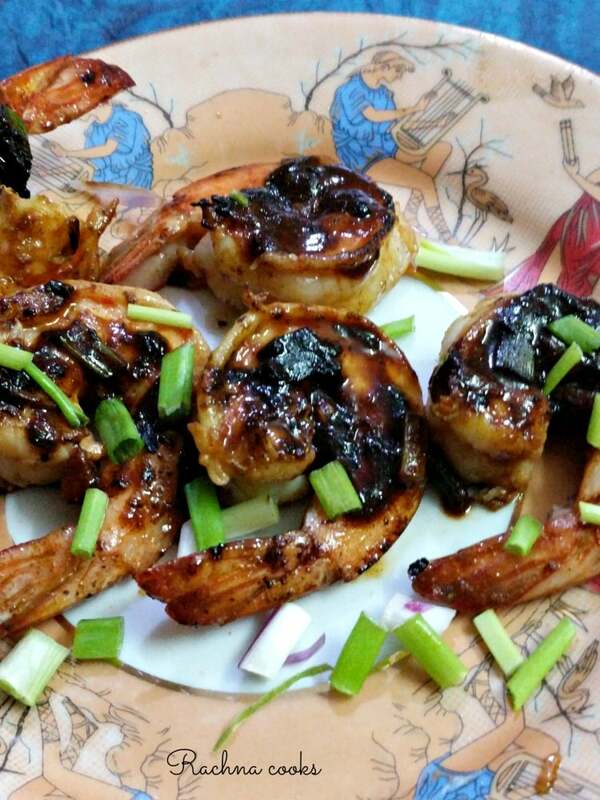 Pour this thick sauce over the shrimp and garnish with finely chopped spring onion. Your Sriracha shrimp is ready. Serve hot. You can use tofu in place of shrimp or chicken with the same sauce. Marinate the chicken for about 2 hours. You can change the quantity of sauces in the marinade depending upon your taste. Remember that the sauces already have a lot of salt. So be careful if you are adding some more. 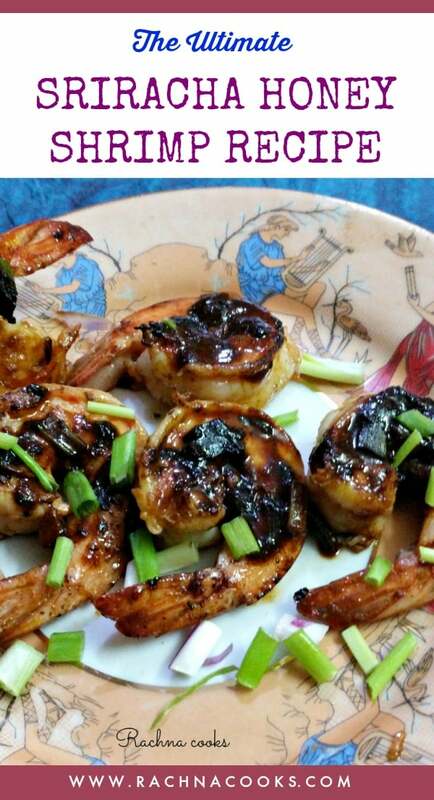 This spicy, sweet and salty Srirachna shrimp is delightful on the palate. It is also a versatile recipe as you could use veggies too here. Just lightly saute them with the same sauces and serve them with shrimp. Cook it on a hot pan. Cook well on both sides till the shrimp get a nice char. 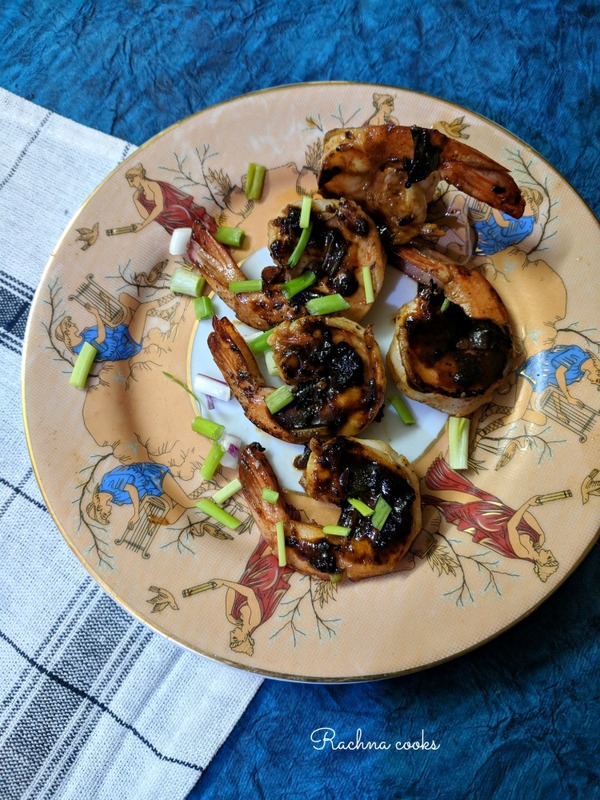 You can grill the shrimp too. 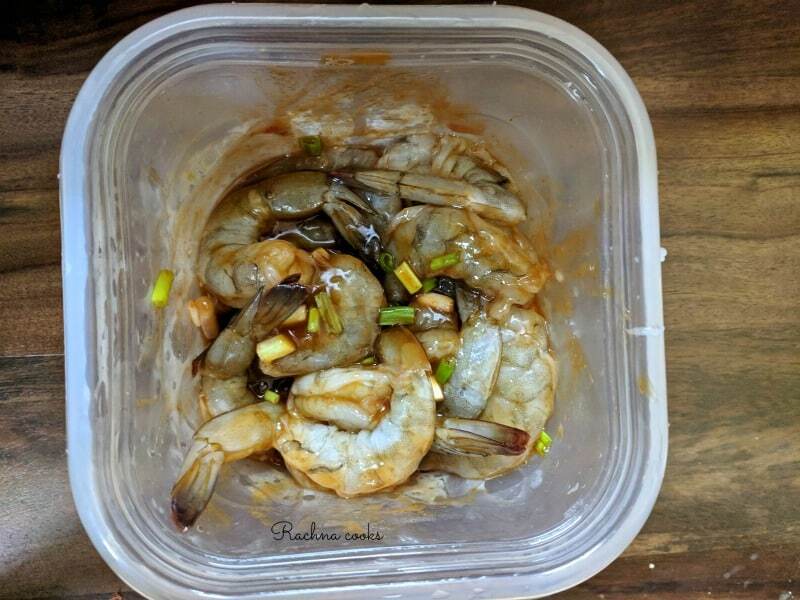 Spoon some Sriracha honey lime sauce on top and serve the shrimp hot. Enjoy this easy Sriracha honey lime shrimp recipe with your friends and family. 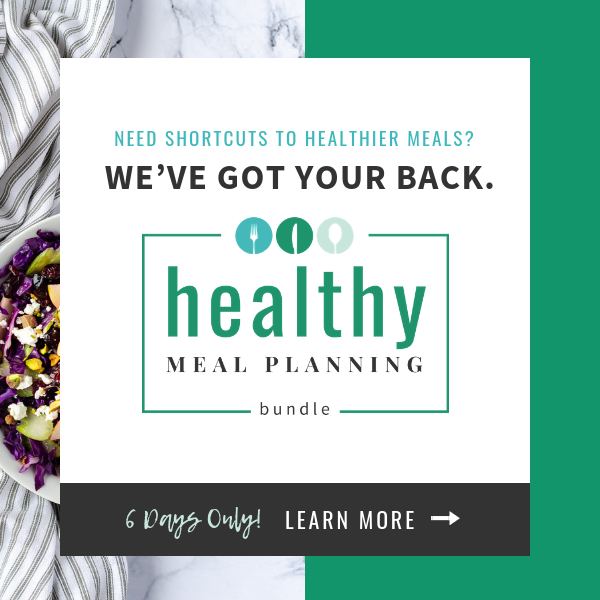 I promise you that you will make it a part of your regular cooking. 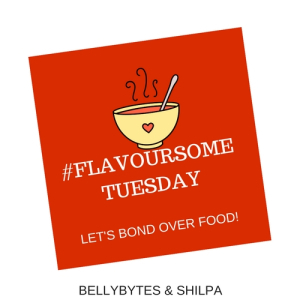 If you liked this recipe, do share. This looks delicious and I love prawns. 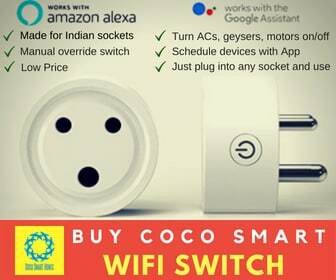 Will give this a try! I am not a big fan of prawns but the boys love it. Your dish looks yum and inviting.